Finnish poker pro Mika Paasonen won a seat at the Estrellas Poker Tournament in Barcelona last weekend in an online satellite tournament earlier this summer. Unfortunately, he didn't do as well at the live tournament as he did online. 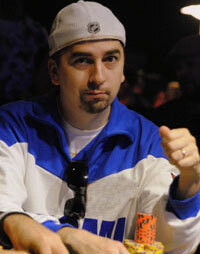 "Nothing really interesting happen in Estrellas main event," Paasonen said after returning home early from the event. "Was pretty card dead all day and just grinded starting stack 25k to 50k whole day winning small pots here and there." also joined a party and made a quick all in as well. Big blind player was pretty tight and he had a decent stack to pass this hand and continue tournament in next day so i though he might be even little bit tighter on this spot and thought his range like high pairs and AK. If he would have hands like AQ or 88 and think he would of think like 15-30 second before his decisions instead of snap all in. I trusted my read and made a fold. Btn had AJ and bb won with AK and they both missed board and my 99 would of win and i would of triple up making a call. " "Next and last hand of current day active player on my right with a big stack open and he open like 40% of all hands and i thought he is opening last hands of they day like 100% of the time. I had re-steal stack 22bb and found a decent hand KJo to shove so i went all in. Opener wake up however with AQ and i was out after that hand." "I played one side event as well and busted from that one after 4 hours AK vs TT. Then I took early flight back home." 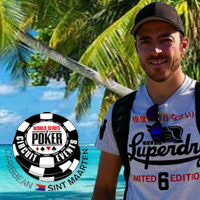 "Next week I'm playing a new live tourney in Tallinn so hopefully run deeper there."